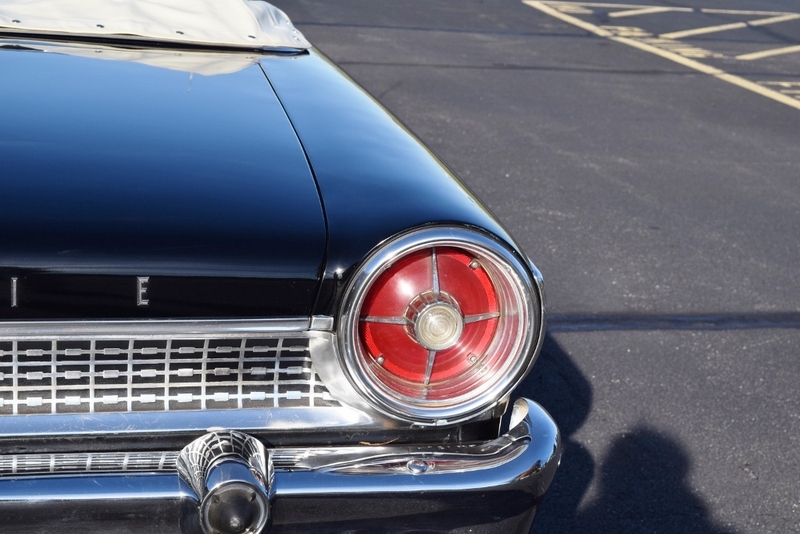 This car has a very nice respray in its Black finish. 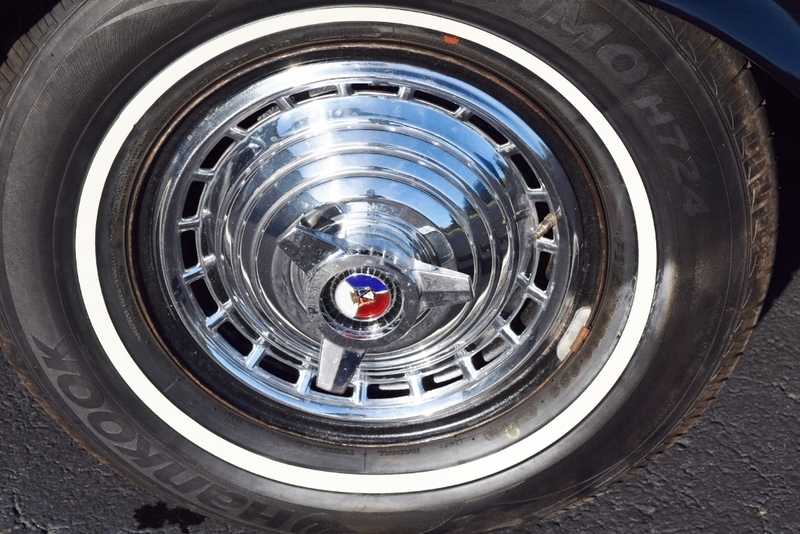 The chrome and stainless are in very good condition. 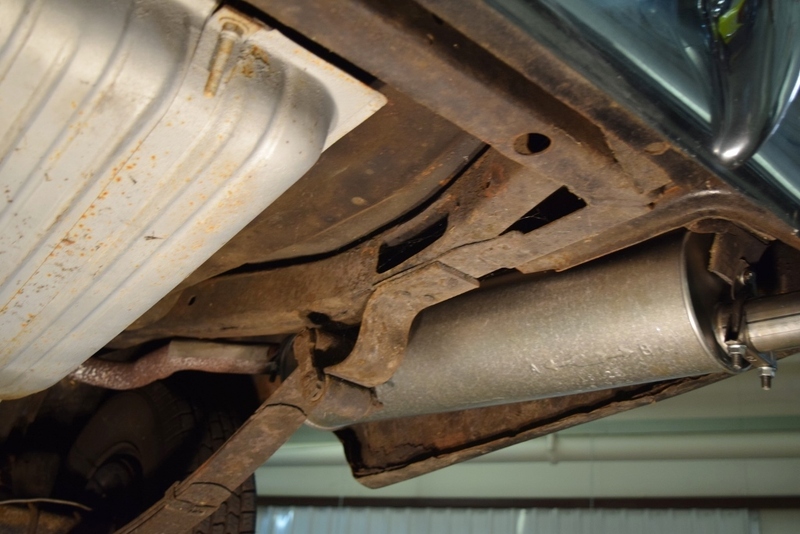 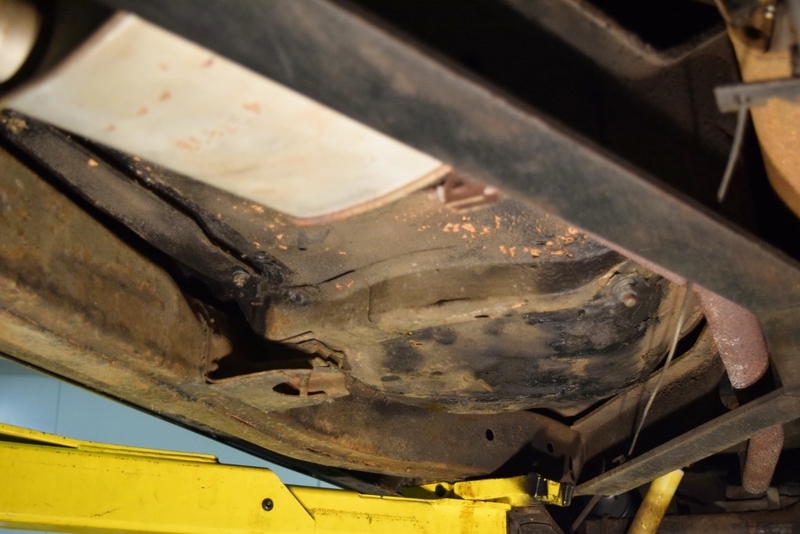 The underside is in good condition. 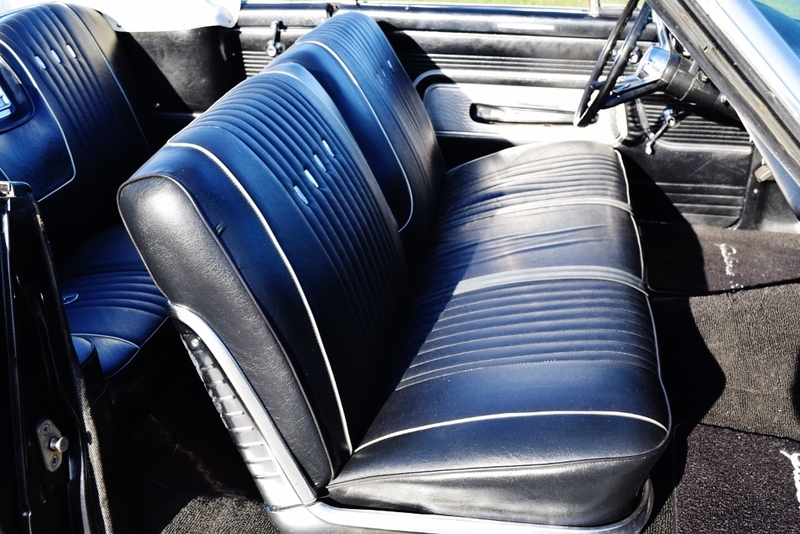 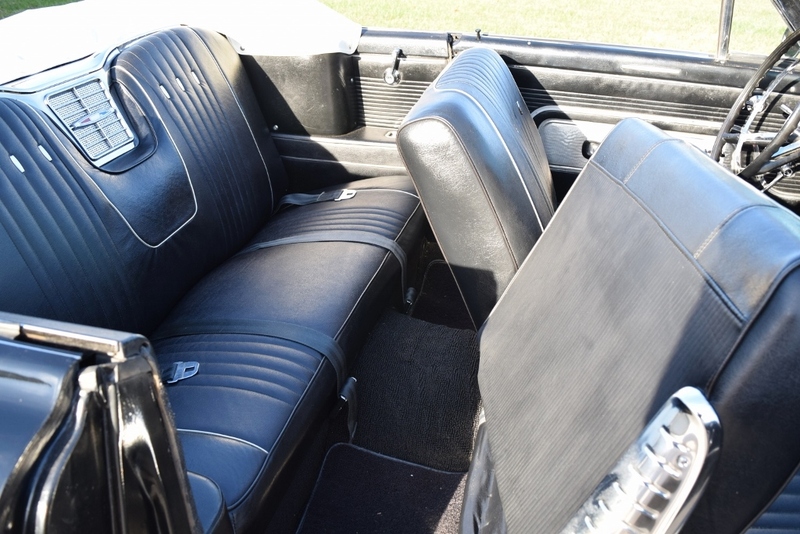 The black vinyl seat upholstery is in very good condition and shows extremely well. 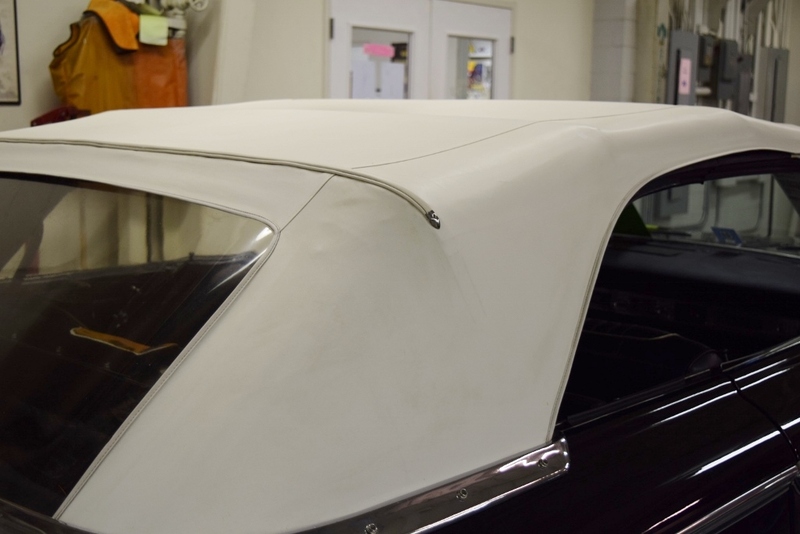 Likewise, the white convertible top is in excellent condition and operates correctly. 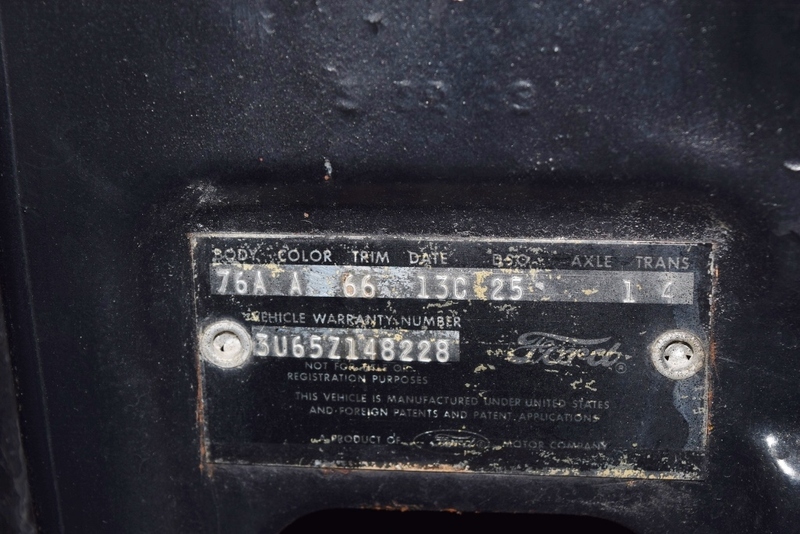 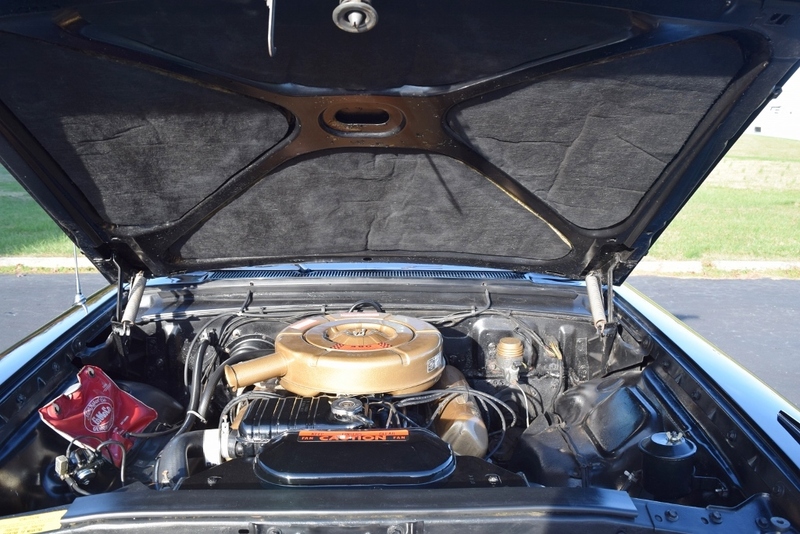 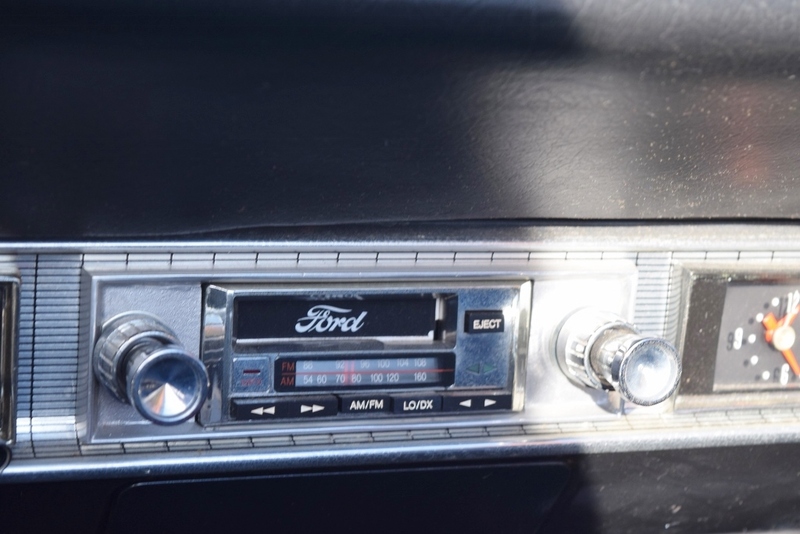 The engine in this Galaxie is the optional 390 cid V-8, and it starts and runs properly. 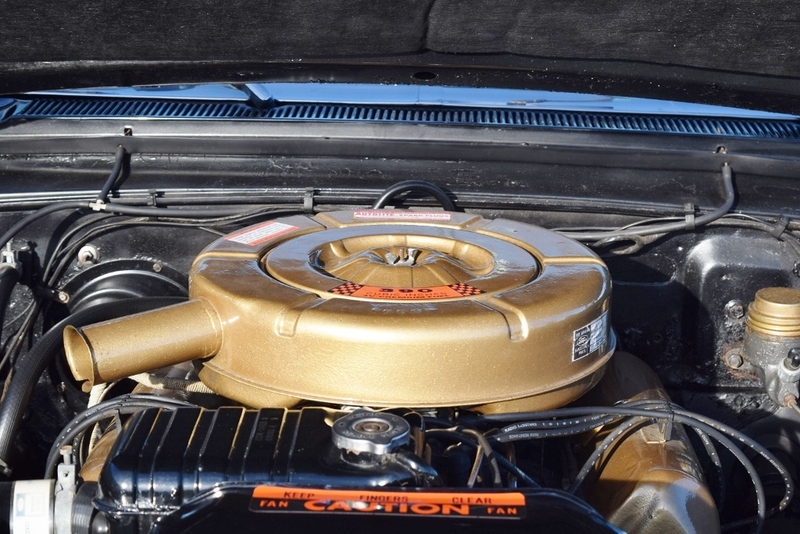 During the engine rebuild, it was set up to run on lead-free gasoline. 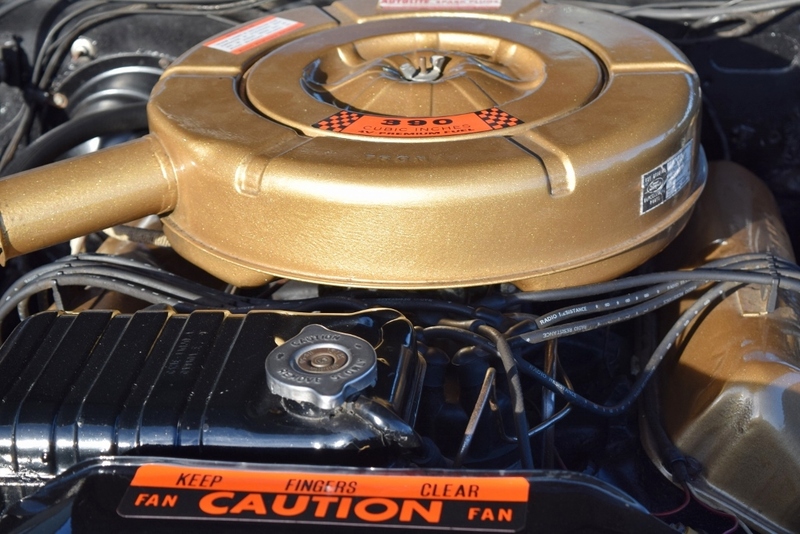 The engine compartment is fully detailed. 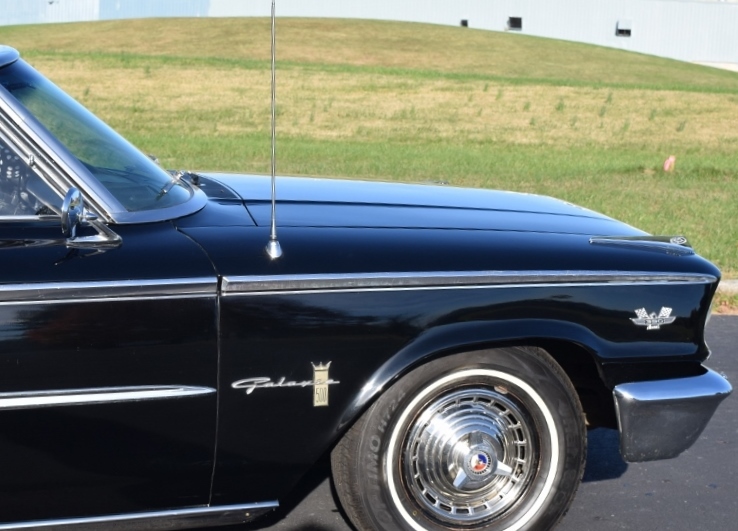 Despite its quickness, it is smooth-running and a pleasure to drive. 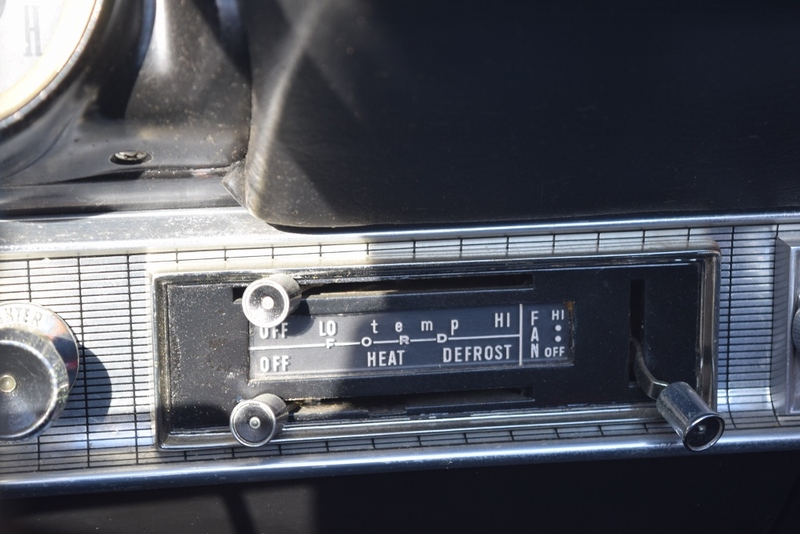 The car has an automatic transmission that shifts properly and effortlessly. 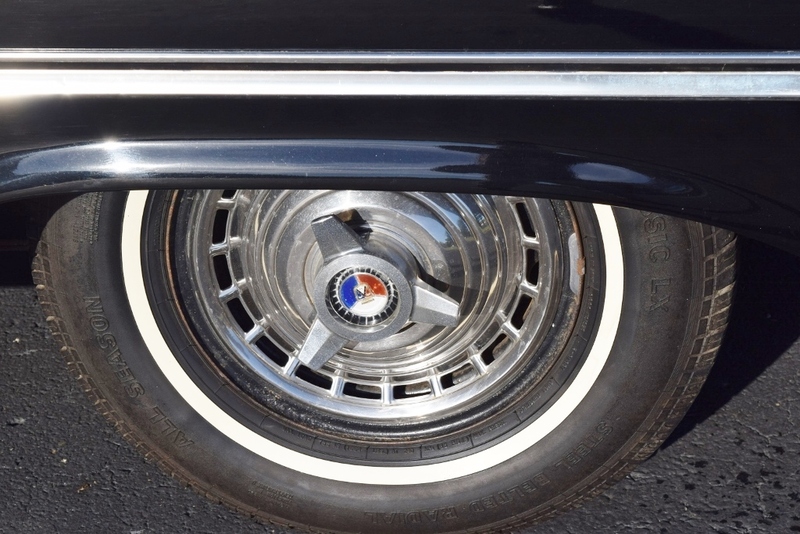 The car is equipped with four narrow whitewall 215/75R14 tires mounted with period correct spinner wheel covers. 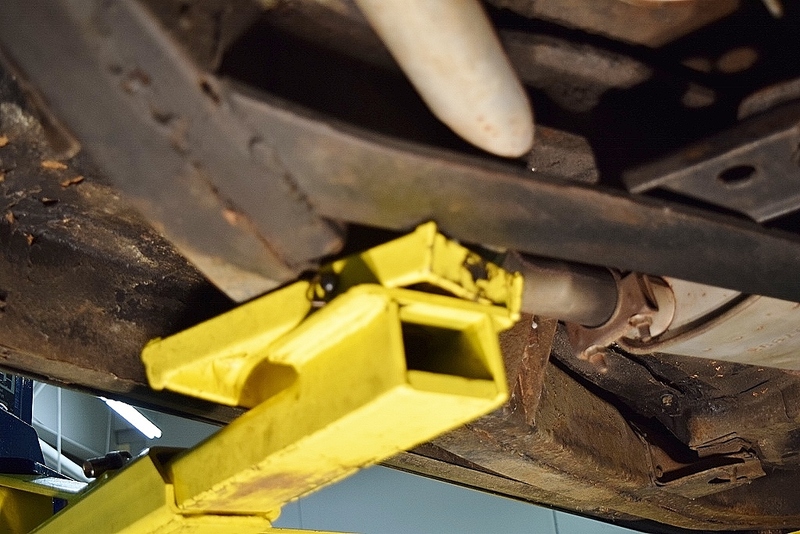 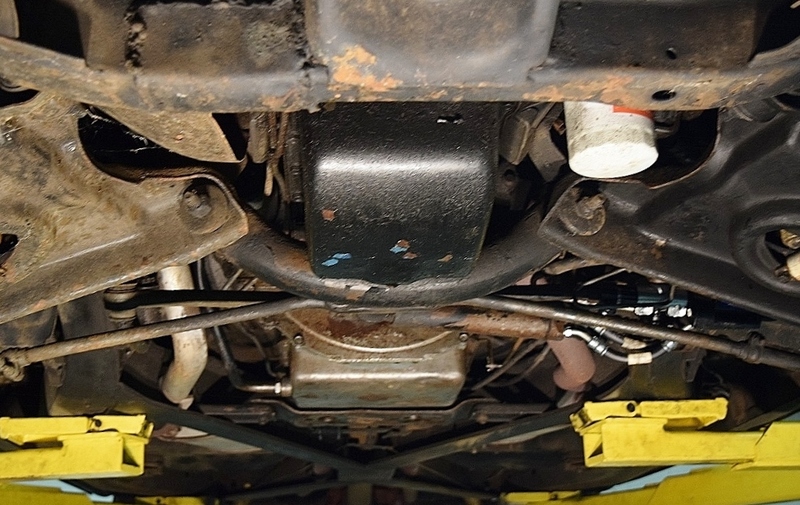 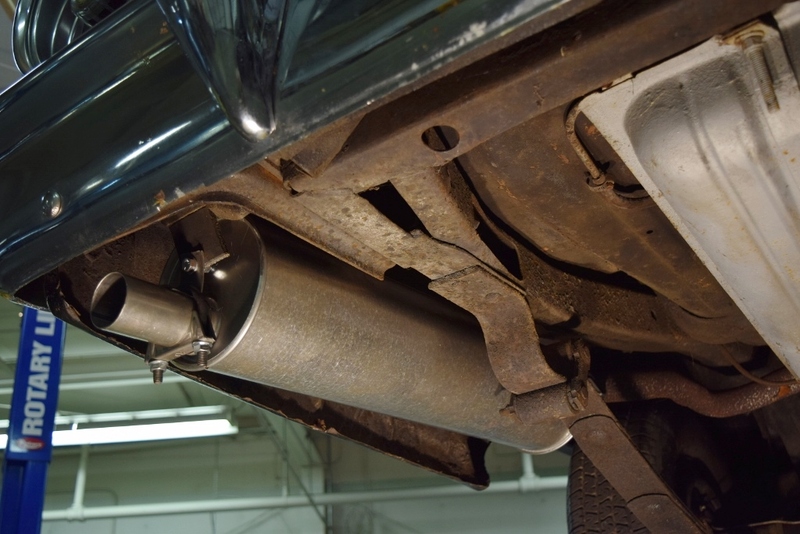 There is, of course, power steering to make driving—and stopping—effortless. 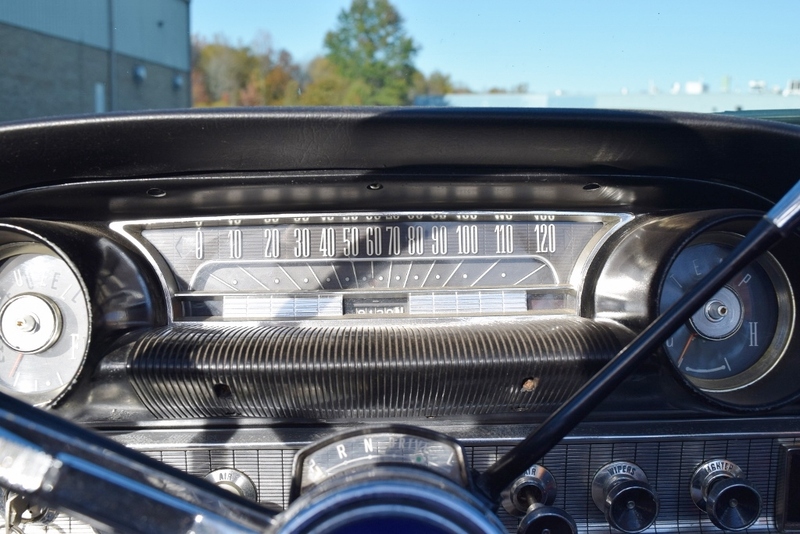 The safety equipment (lights, horn, wipers and turn signals) all work. 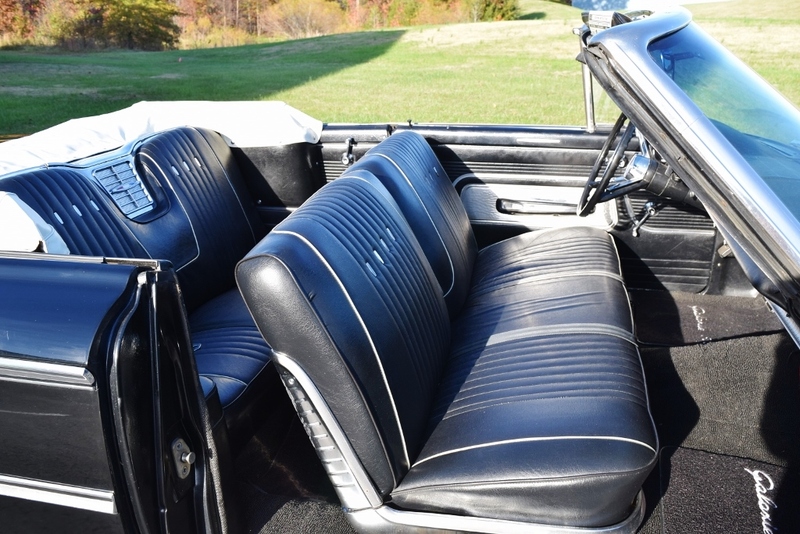 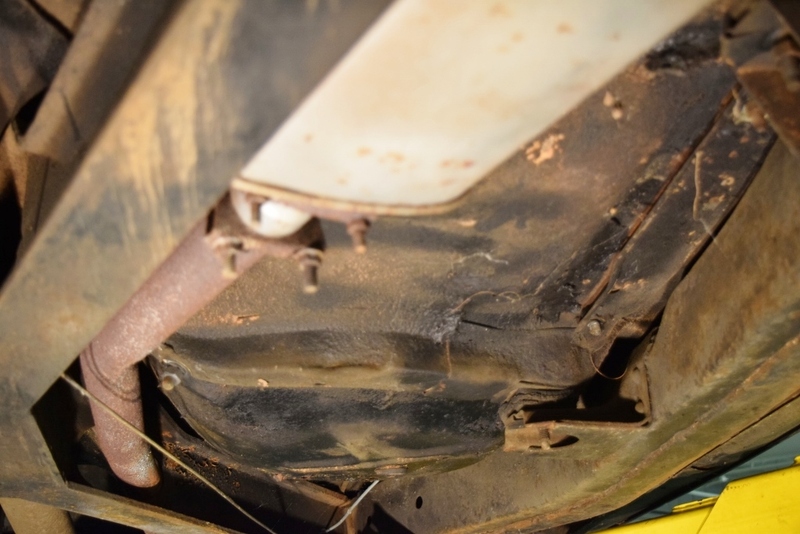 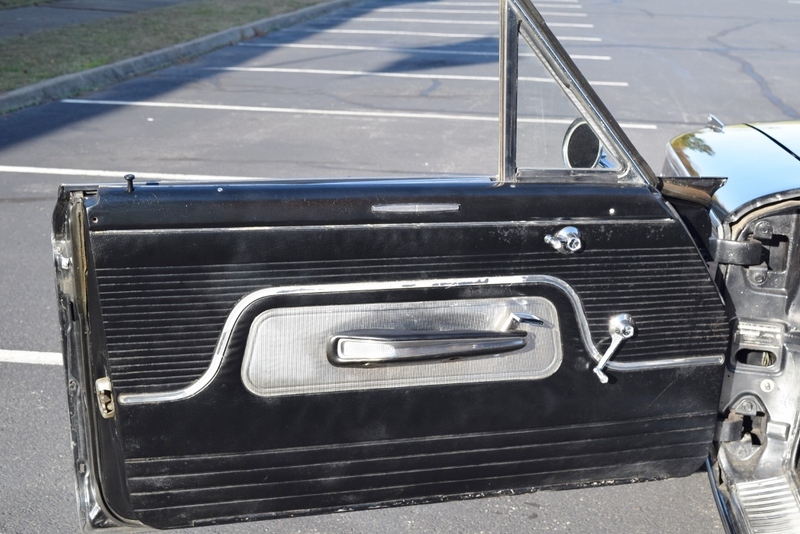 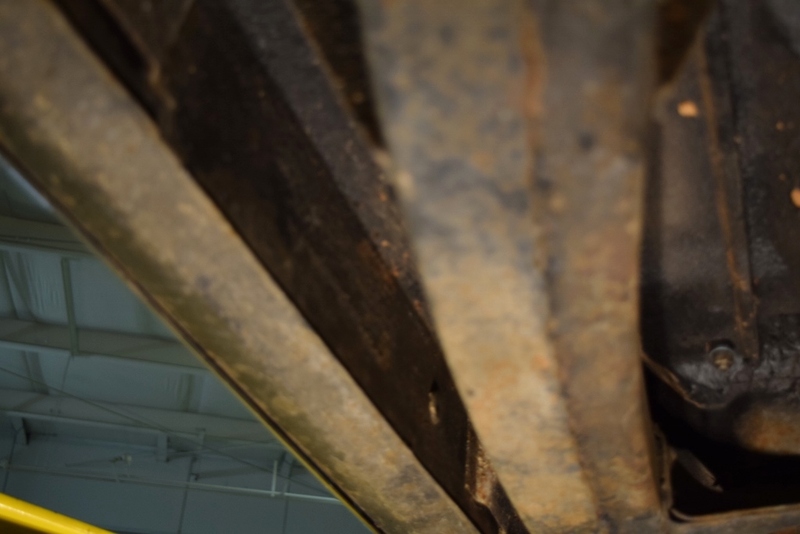 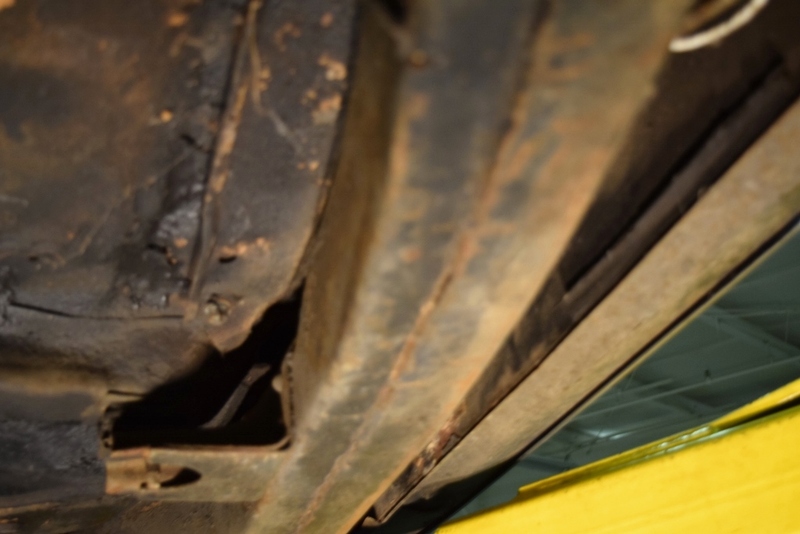 The car’s convertible top was replaced and the top and rear window are in very good condition. 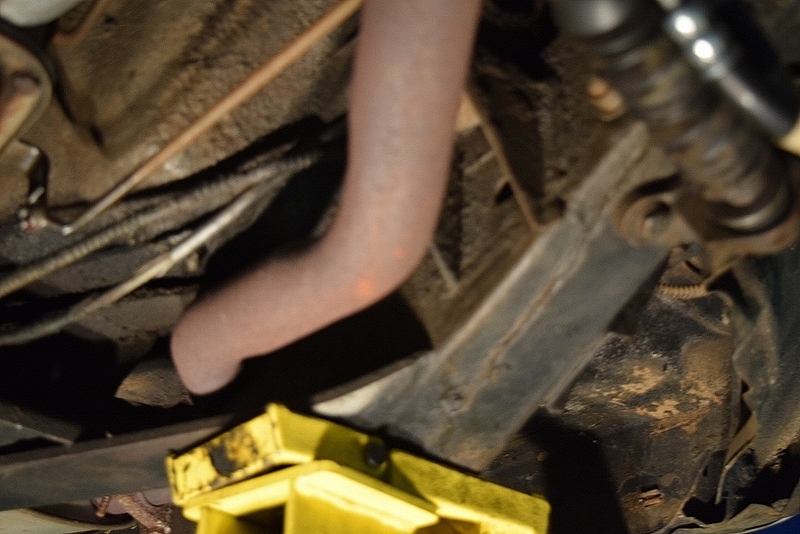 The lowering/raising mechanism works properly. 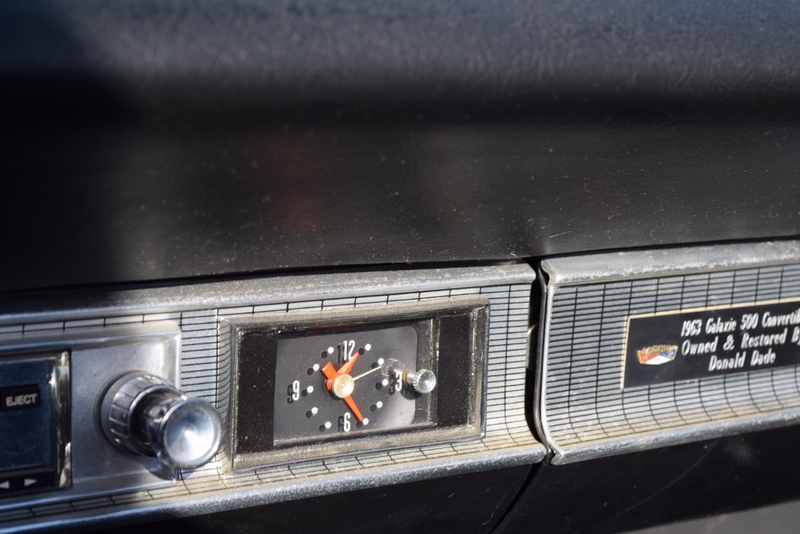 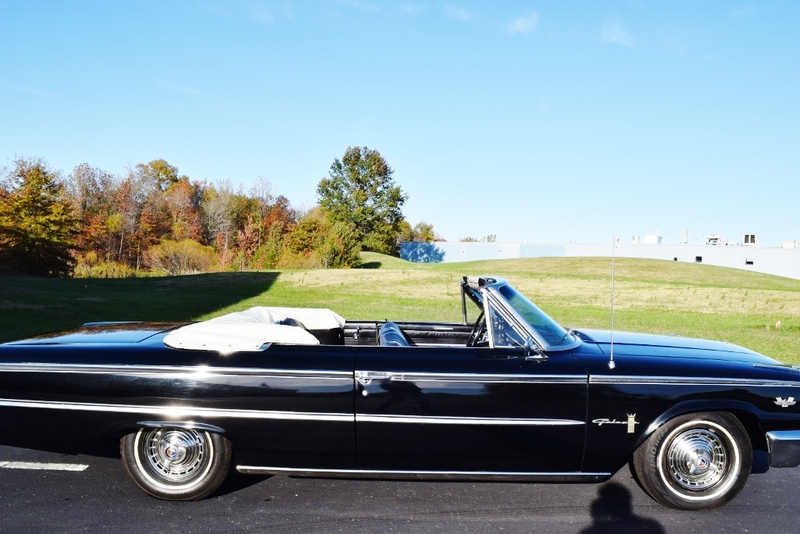 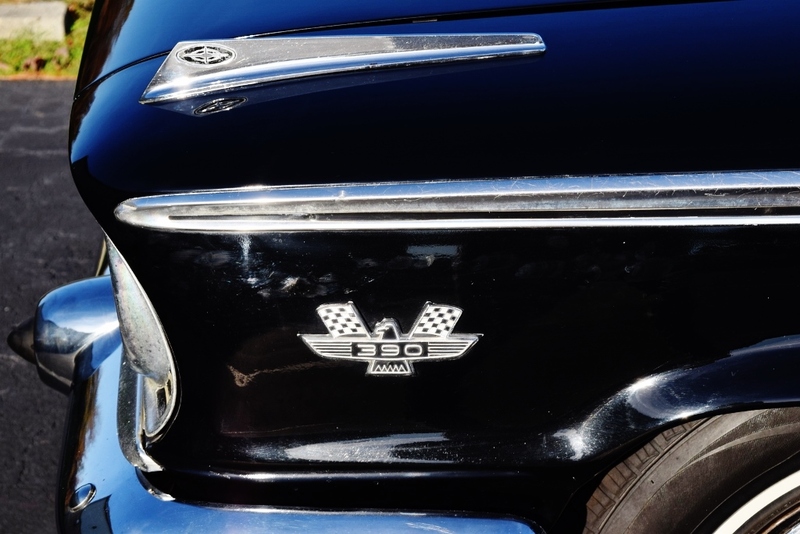 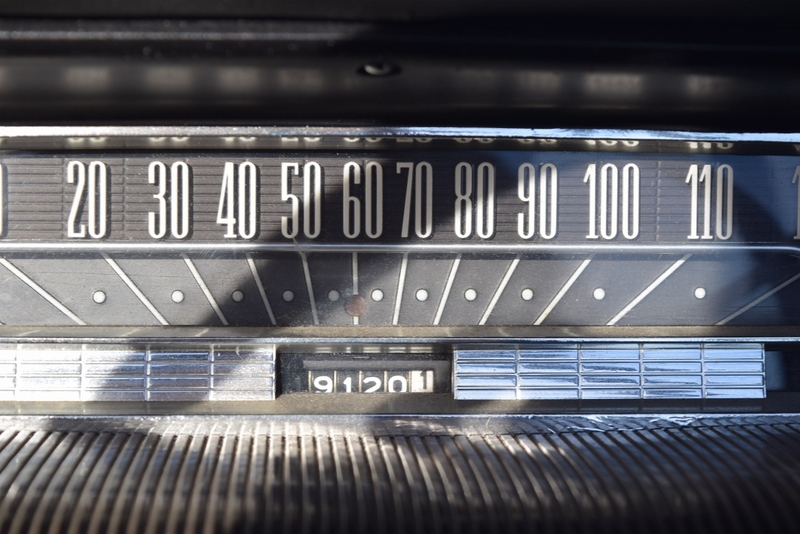 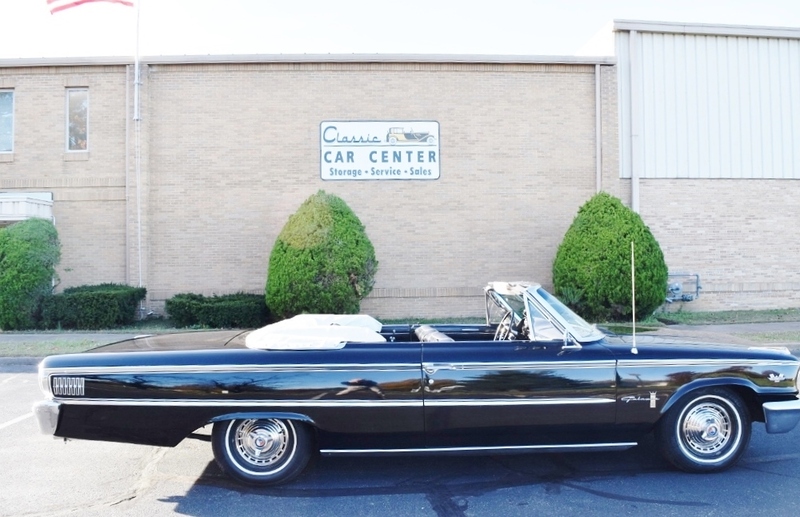 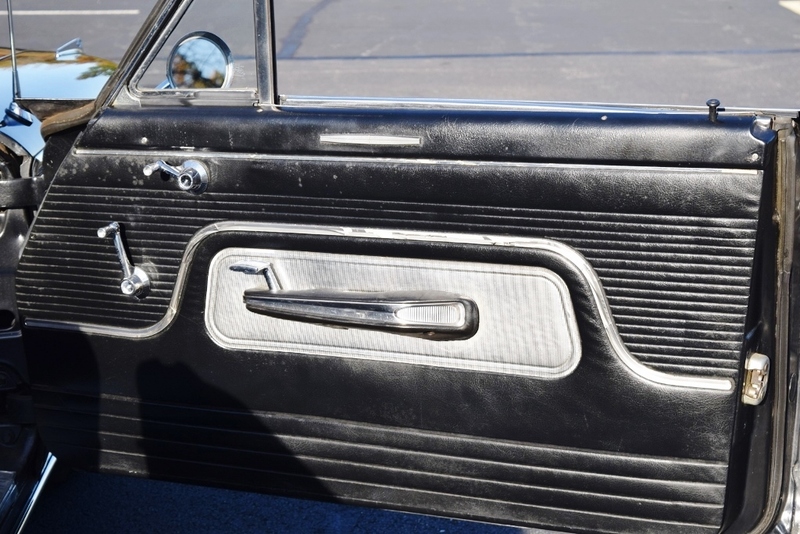 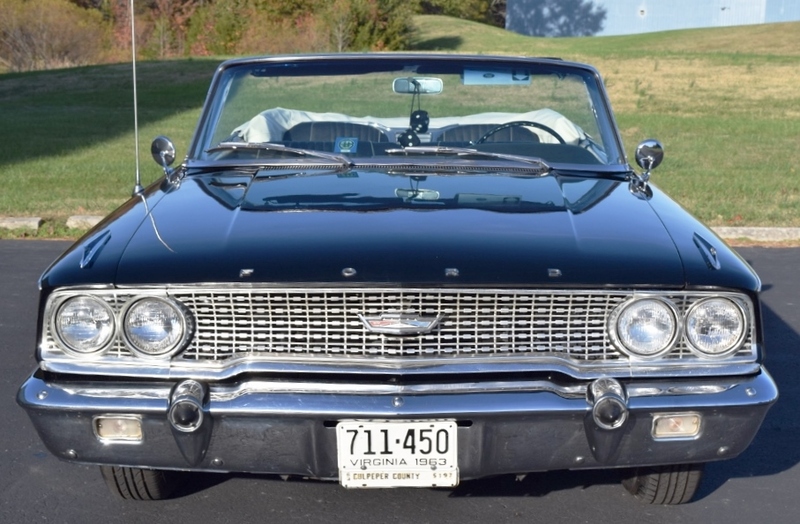 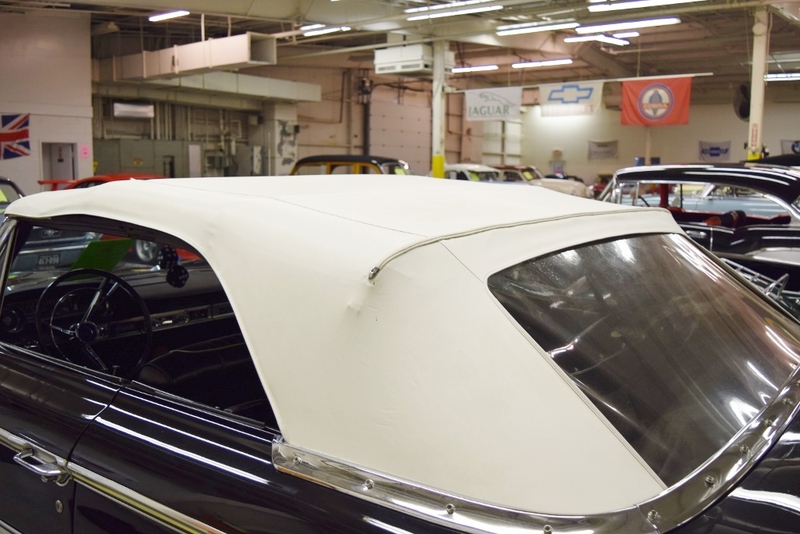 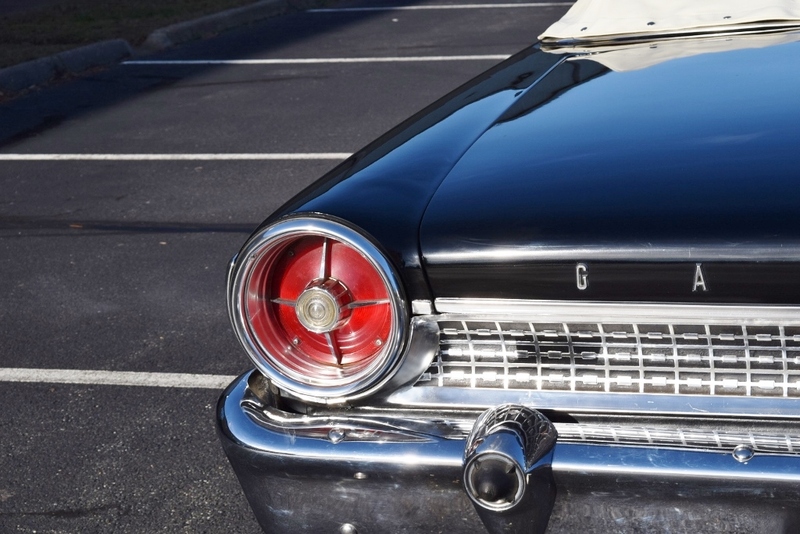 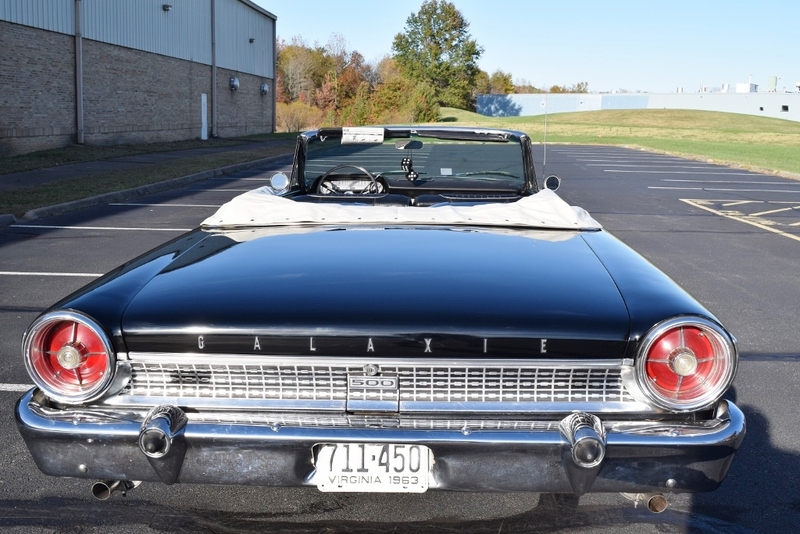 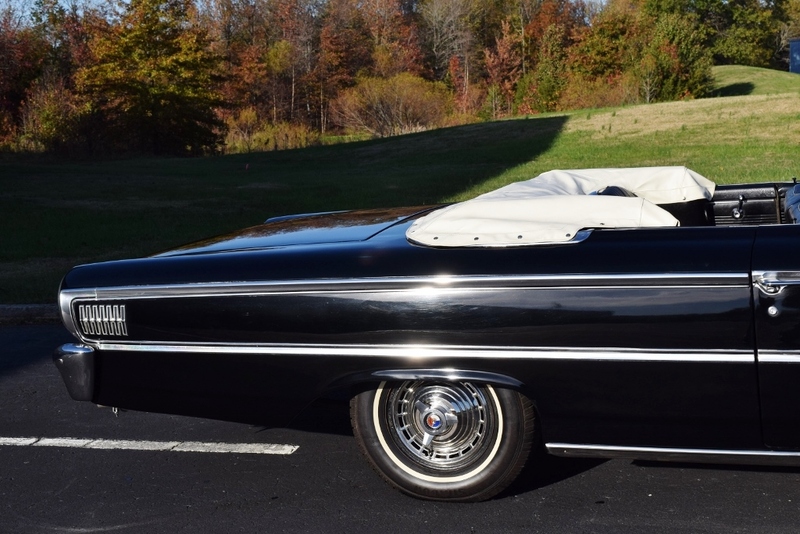 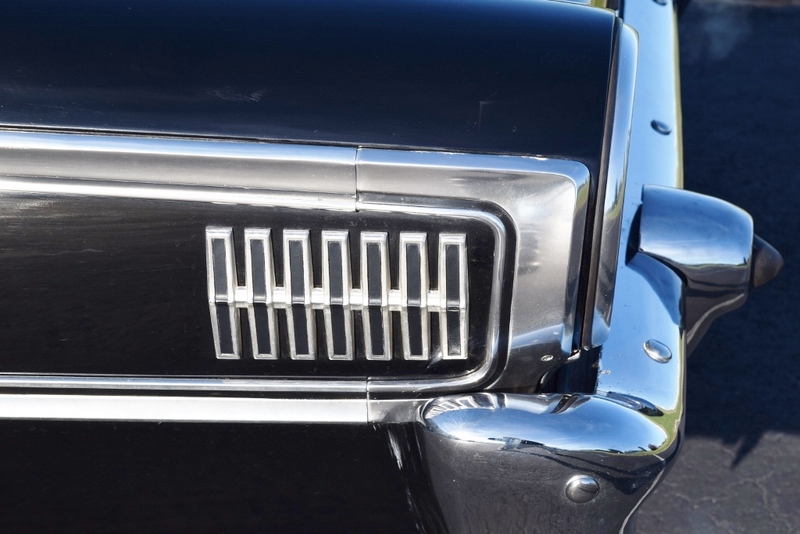 The Galaxie 500 convertible was a car that helped define the ‘60s as families wanted a car with more pizzazz that could take 4-6 people out on the town. 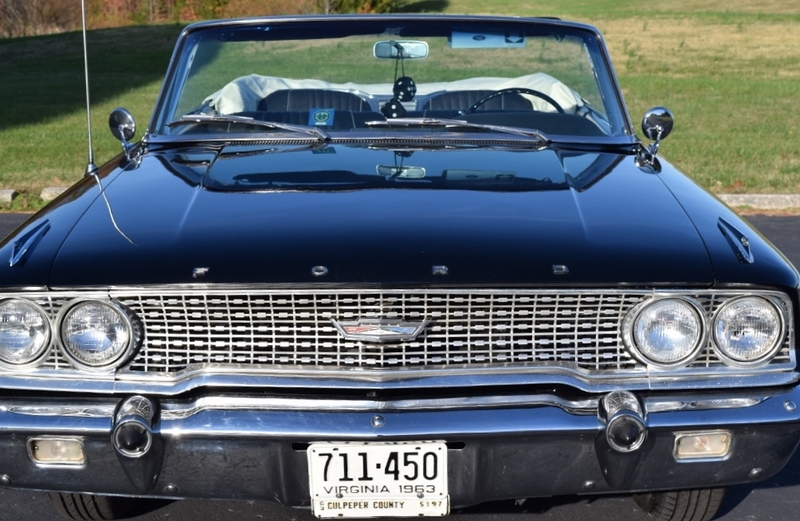 Now you can relive that era with an extremely nice example of these fine cars from Ford Motor Company. 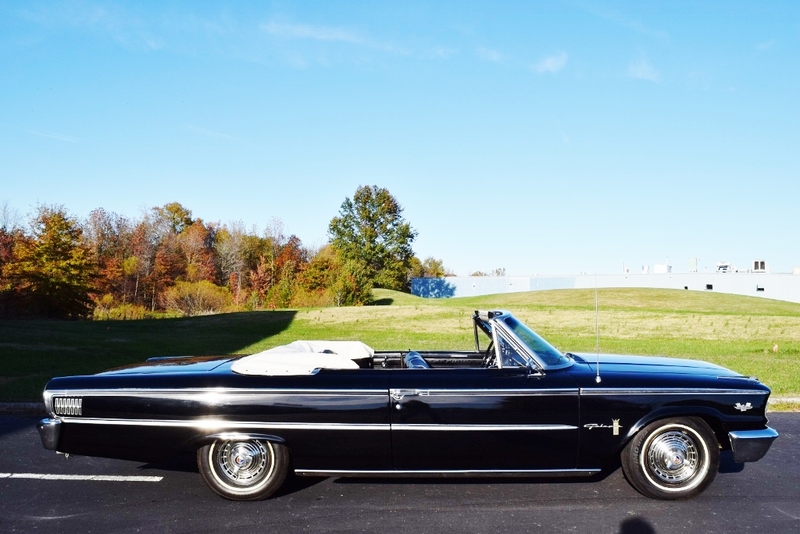 This Black convertible will be equally at home at the local cruise-ins, car shows or the ice cream shop!